“It’s all just things”, we say, until it’s our things that have gone up in smoke. A house fire can occur at any time and often happens with little or no warning. Electrical wiring, cooking grease, lightning strikes, candles, dryers, cars, chemicals, wildfires, a neighbor’s house fire or toys left on lamps can all cause a fire to start. While many fires are preventable, there are plenty that are not. Did you know that during 2010-2014, roughly one of every 338 households reported a house fire per year, according to the National Fire Prevention Association? Most of us probably know someone who has experienced a house fire. It could happen to any one of us. It happened to a family near my neighborhood this year. The all survived, but they lost everything. The fire started in the dryer while the mom was in the shower. Perfect timing, right? She grabbed clothes and got the children out of the house. Most likely, there was nothing the family could have done to prevent the fire – it was most likely electrical in nature. After the fire, the community came together to support them. They have moved to a different house and the old house has been completely razed. Before that happened, though, they had to spend hours at the old house with an insurance agent trying to remember every item they owned. They actually ended up being able to find a few key family heirlooms that weren’t completely destroyed, but at first, they thought everything was gone and the items that were lost that brought tears to their eyes were the irreplaceable ones – photos and heirlooms. 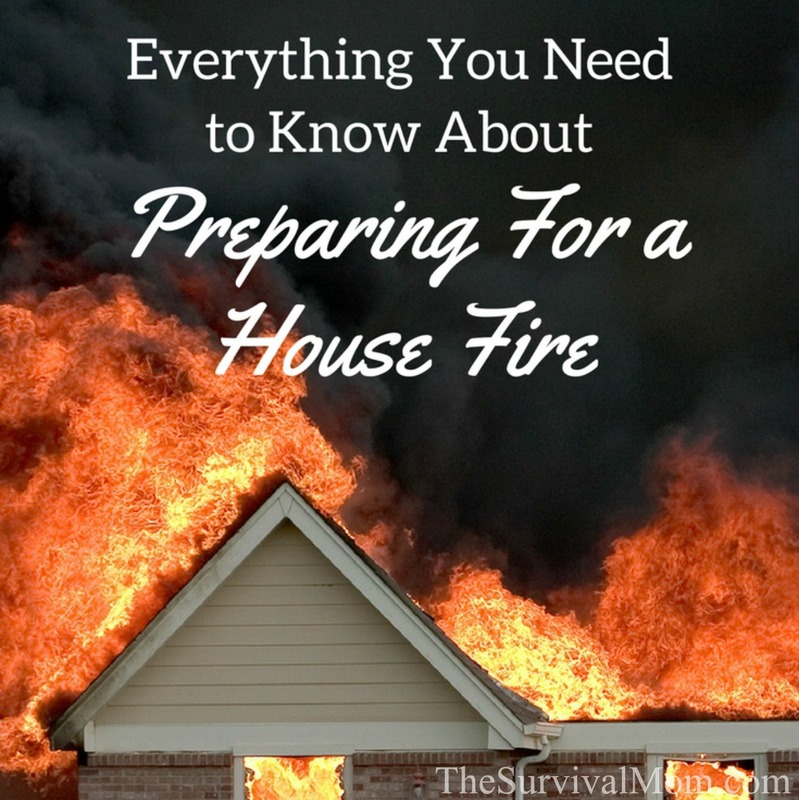 The mother has shared her experience with the local community and wants to pass along some lessons to the rest of us in case, God forbid, any of us experience a house fire. 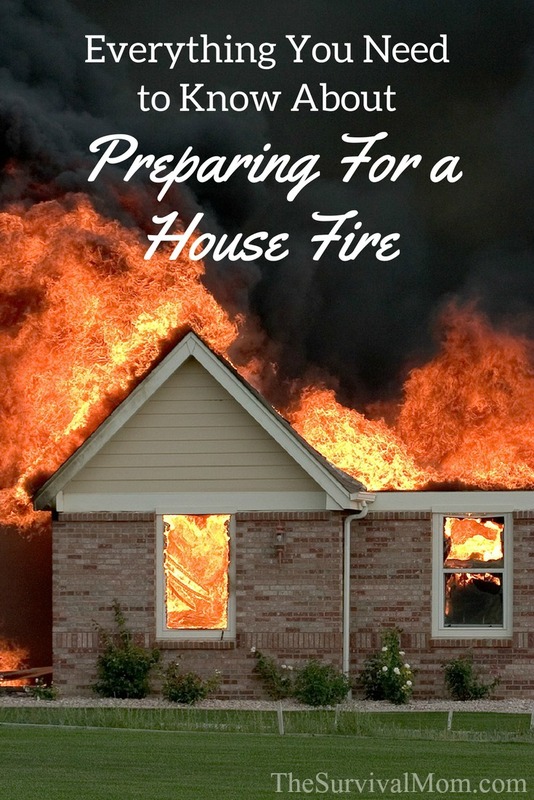 So, what can you do to prepare for a house fire? “Buy a fireproof case to keep important documents inside,” the mother said. A good starting place is to put together a binder that has birth certificates, marriage certificates, passports, account information and insurance documents. For a good idea on what to put in an emergency binder, read this informative article about getting started. You may also want to add documents with vital information on each family member and pet, including a picture and any identifying marks. TIP- Consider this fireproof case to protect important documents and items. It ranges in size from .5 cubic feet to 1.2 cubic feet. Even if you can replace some documents after a fire, it is a hassle. Some items, like jewelry and other heirlooms, can never be replaced. “Take a picture of each wall in your house, inside closets and inside drawers,” she said. “Put those pictures in your fireproof box so you have proof of your belongings.” A written inventory of all your belongings can take days upon days to complete. Taking photographs or videos is a much quicker way to document what you own. You can establish the date by putting a current newspaper in the video or photo. Receipts or copies of receipts of high-value items should be kept in the fireproof case as well. Take the time to review your insurance as well. The family near us was covered for temporary housing and even temporary household items from a warehouse to use in the house rental. If you lost everything in a fire, what would your insurance cover? How long could you stay in temporary housing? Would they help furnish the housing? What is replacement value for your home and your belongings? It’s worth taking the time to look into for peace of mind. “Back up all photos to a cloud service or put them on CDs and put those in your fireproof box,” she said. We all have those items we consider irreplaceable – grandma’s china, an uncle’s war medals, a child’s homemade baby quilt. For some items, consider if you can display a replica and keep the original safe in a fireproof box or safe deposit box. Make duplicates of any paperwork or photos, including great grandma’s cookie recipe. Take photos of anything displayed so that if it were to be lost, there is a photo to document its existence and story. Store the photos in a fireproof case, too. “Clean out your lint traps and duct work!” she said. There are things you can do in your home to help prevent a fire, although it’s not a guarantee. Keeping fire extinguishers in several places around the home and making sure smoke alarms are working can make a difference. Take one extinguisher outside and let everyone in the family practice using it. Consider buying newer smoke detectors that can detect the smoke from electrical fires. Practice fire drills with your family. The mother said that many people tell her now they never leave their house with the dryer running anymore, and one of them is myself. “Hug your babies and spouse!” she said. “Find some quiet time and reflect on the true treasures of your life!” In the end, this family counts its blessings because they escaped with their lives and without injury. They lost everything, but still have each other. That sounds trite, but it’s true. In the aftermath of a disaster, people are calling out for their kids, their parents, their husband — not their collection of antique teacups. In many house fires, families suffer injuries or death of a family member or pet. By remembering daily that the important “things” in life are not the things in our house, but the people in our lives, we will have a good perspective when we face tragic situations. While no one is truly ever prepared to lose everything they own, there are steps you can take to try to prevent, but also be prepared for a very common and likely threat we all face. Invest some time and a little bit of money checking your insurance and making sure irreplaceable items are saved somewhere, even if just in photos. I plan to take some of this advice myself, as there are some family heirlooms in our house that I would hate to lose for the sake of my children. Please consider doing the same. The fire safe mentioned in the article is not firesafe according to the Amazon information ” Safe is not fireproof or waterproof “. From Personal experience with a fire that destroyed our home about 7 years ago now, we had fire safes rated for 1/2 hour and all that was left were ashes. Had I left the fire safe in the chest freezer where it had been, it would have survived because the food was still intact. An upright freezer would not have worked because the door on our refrigerator came open.